File image of an Idaho State Police patrol car. After losing control of his car, the man overcorrected, went into the right shoulder and overturned his car. 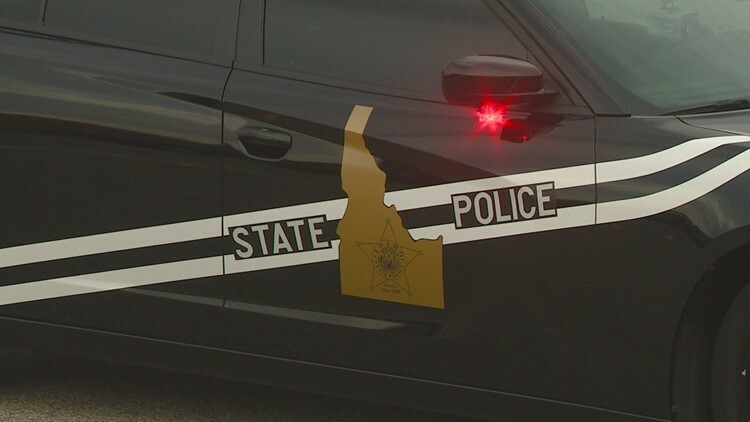 CALDWELL, Idaho — Idaho State Police are investigating a crash on the I-84, west of Caldwell after a man lost control of his car and overturned it. 50-year-old Ezequiel Rodriguez of Caldwell was driving eastbound on the I-84 when he lost control of his GMC Sonoma and overcorrected, just before 9 a.m.
His car then went off into the right shoulder and overturned. He was transported to Saint Alphonsus Regional Medical Center in Boise. Rodriguez was wearing a seatbelt. Idaho State Police are continuing to investigate the crash.